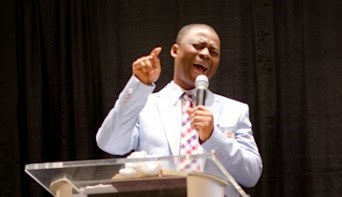 According to Dr D.K Olukoya the general overseer of Mountain of Fire and Miracle Ministries. In this particular year human beings will be divided into 3 categories, You either manifest as SALT, SUGAR or ACID (3 manifestation). But the one the Lord want you to manifest is the one he has said in the scripture that Ye are the Salt of the earth and once the salt has lost it potency that is it. He didn't say you are sugar of the earth or he didn't say you are acid of the earth. you are the salt. Too many Christians are fallen short of this and because we refused to be salty, we are being spoiled by the world. Jesus said Ye are the salt of the earth, if the salt have lost its taste, it has lost its strength and quality, He says how can the saltiness be restored? he says its not good for anything again except they throw is away. It's not a year to just be making noise, naming ceremony noise, wedding, everything noise. Salt cleanses, when you put salt in a place it has a lingering effect, Salt adds value and it hold water, it heals but at the same time salt irritate when necessary. You can fill your mouth with sugar, no problem but when you finished swallowing the sugar, the sugar will fight back inside that body you are putting the sugar but the way you will hold sugar in your mouth you cant put salt in your mouth like that because it stinks, Salt persists, and salt is inexpensive, universally available, shows no bias. If you will just follow that injunction of Jesus for this year, you will be 100 percent fine. 1, In this year don't hate anybody. 2, This is a year of confused noises and meaningless storms. 3, This year there will be heavenly final whistle to those who are attacking genuine God's people. 4, This year is a year of fighting between the road and the road users (May the Lord explain this to you). 5, This is a year of incredible and energy sapping battles. 6, This is a year of disgrace of popular international serpents and scorpions. 7, This is a year of incredible victory and supernatural intervention and triumph for so many people. (You know the year is 2017, 17 is the a number of victory but there is not victory without a battle and not triumph without war). 9, This is a year where the sword will attack the holder of that sword. 10, This is a year and mark my words, all those who are investing in corruption, wealth corruption, money and accumulating things by corruption, it will yield them multiple sorry this year. 12, This year many foundational satanic oppression and bondages will expire. 13, This is a year of thanksgiving for divine deliverance. 14, This is a year of great and intensive confrontation between the kingdom of darkness and the children of God but the children of the mighty God will be victorious. 16, This is a year of great challenges but also of achievements for those who are ready to fight the good fight of faith. 17, This is a year of extraordinary victory for individuals, institutions and nations who will use their spiritual weapons. 18, This is a year of redemption from many lands that are in contention. 19, This is a year of breakthroughs for those who have decided to be fishers of men. 20, This is a year where heavens will honour prayers targeted towards divinely orchestrated victory. 21, This is a no nonsense year monitored by Herod slapping angels. 22, This is a year where the last laughed over your enemies will be secured. 24, This is a year where those who deeply love the Lord will not be moved by the politician,social and economic instability of the time. 25, If you have sow into the things of God, this is a year where blessings will chase you and also over take you. 26, This is a year that will witness the release of angels of abundant harvest. 27, God will begin to raise what we called powerful children ministers, anointed young children because the adults have started to fail God. 28, Serious prayers are needed to avoid what is known as unprecedented convulsion of the earth (we mean manifestation through earthquake, volcanoes, tsunamis, extreme weather, terrible winds). 29, This is a year of double edge divine vengeance. 30, This is a year you must restructure and embrace spiritual revival or perish. 31, This is a year where warfare mentality is a prerequisite for survival, many who have been laughing at praying warfare prayer before they will be the greatest prayer warrior now. 32, Under obedience will attract very strict heavenly sanction this year. 33, This is a year of huge surprises both pleasant and unpleasant. 34, And I say this with all seriousness, the Lord said its a year of very deep sorrow for the wicked. 35, This is a year that many who have been mocked shall rejoice, unfortunately. 36, This is a year of satanic recruitment to cage youngest teenagers, serious prayers are needed. 37, This is a year of great awaken also a year of great shaken. 38, This is a year of the kind of showers of blessings that will change many people story forever. 39, This is a year of the aggressive rage of sexual demons and sexual perversion in order to kill destiny (This is a very bad year for fornicators and adulterers no matter how clever they are, some will go on that journey and they wont come back home, some will be destroyed along the way, the enemy will not give some of them time to repent again). 10, Become a prayer addict and bible addict. Thank you, thank you and thank you. I really need this detailed reminder at this moment of my life. I pray God uphold us with His right hand of righteousness, especially as youths.